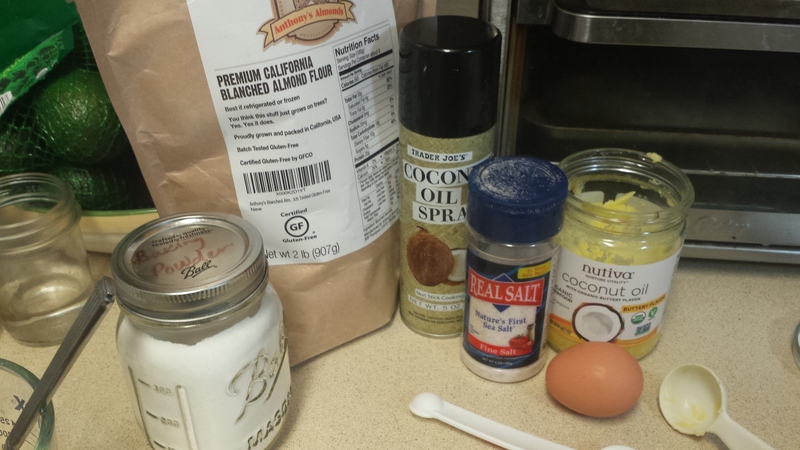 Egg nog is actually very easy to make keto because the basic ingredients are eggs and cream. Before a couple of years ago, I’d only had store-bought egg nog is super high in sugar and filled with fake-food thickeners to avoid all those “bad” foods like eggs and heavy cream (oh, and probably to save a bunch of money for the food manufacturers). I had no idea that it was something you could make at home! And like most things made at home, it puts store-bought to shame. Most recipes use milk for a good portion of the liquid, but when you’re on a low carb, high fat diet, why not go all out and use all heavy cream? Separate eggs and place egg yolks into the bowl of a stand mixer. Beat for a few minutes, until light in color. Gradually add the Swerve and continue beating until dissolved. Add the cream, rum (or rum extract) and nutmeg, and stir to combine. Pour this mixture into a pitcher or large bowl. In cleaned and dried bowl of the stand mixer, add egg whites and beat to soft peaks. Whisk the egg whites into the egg yolk mixture. The Hypnotic Nutrition taste testers are back again sampling some very high fat, heavy whipping cream. Along with Carole and Mikayla, this time we also have guest taste tester Daniel Andras, Registered Dietitian and self-proclaimed “fat snob”. Did we all agree on our favorite and least favorite? What are you hungry for us to taste next? Keto Chat Episode 14 is with Randy Webb, Licensed Professional Counselor in Arizona and Licensed Mental Health Counselor in Washington. Randy was my counseling internship supervisor when I was completing my graduate degree in 2012, and at that time, he was a vegetarian. When I went to visit Phoenix in March 2016, I was excited to talk to Randy about a couple of the therapies he’s passionate about. But then I discovered that he had a big surprise for me regarding his diet! Randy’s surprise development of metabolic syndrome, fatigue, sleep trouble, and kidney issues when he was eating, what he thought was, a health diet. Nutritionist Carole Freeman gets together with her intern Mikayla and Jim Kellner, Hypnotist and Comedian, to taste test 4 different kinds of butter and share their favorite ways to incorporate butter into their daily meals. What do we talk about in this video? Does grass-fed Kerrygold butter live up to the hype? Which butter tastes like butter-flavored butter? Why is some butter salted and other butter not salted? What is CLA and why have people been duped into spending money on it? And don’t miss Jim’s secret for dropping 10 more pounds in the last month. What is your favorite way to eat butter? Have you ever eaten butter on cheese? Recently, my son started back to college (after working 2 jobs to support me after my devastating car accident. I love you, kid!). He ordered his sociology textbook through Amazon, however they mistakenly shipped us a Hamilton Beach Dual Breakfast Sandwich Maker. Score! I’d been eyeing these, wondering what kind of delicious keto meals I could create. Since the whole premise of this appliance is to start with some kind of bread (oh, Oprah would be so happy! 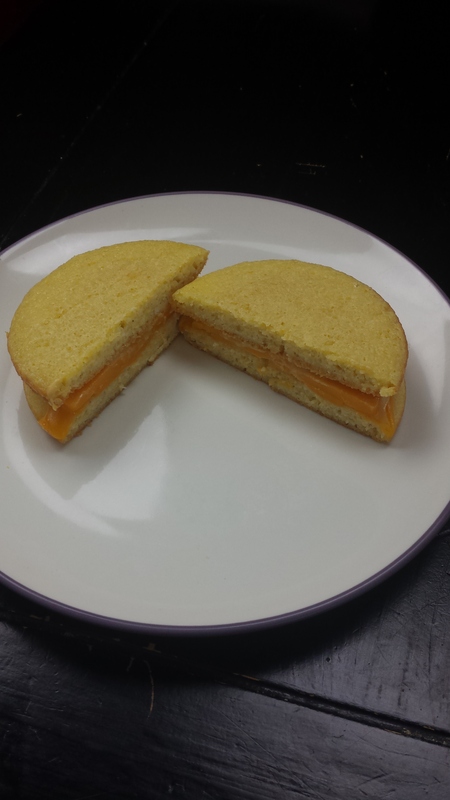 ), like a bagel, English muffin, or croissant, my first step was to master a keto-friendly bread muffin to build my delicious sandwiches from. After making these buns, you can continue on to make a breakfast or other sandwich in your sandwich maker (with meat, cheese, eggs, etc.) or you can brown the bottoms and use for a cold sandwich, or make several and keep them on hand for future sandwich needs. For example, make a grilled cheese sandwich. Preheat sandwich maker according to manufacturer directions. In a small bowl or mug, mix together the almond meal, baking powder, and salt. Stir in the egg and then the melted butter and mix thoroughly. 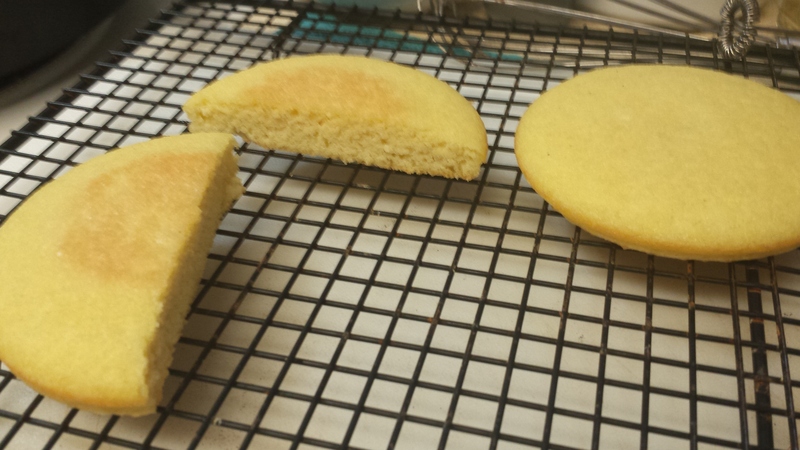 Add water if needed, to make batter a pourable consistency. 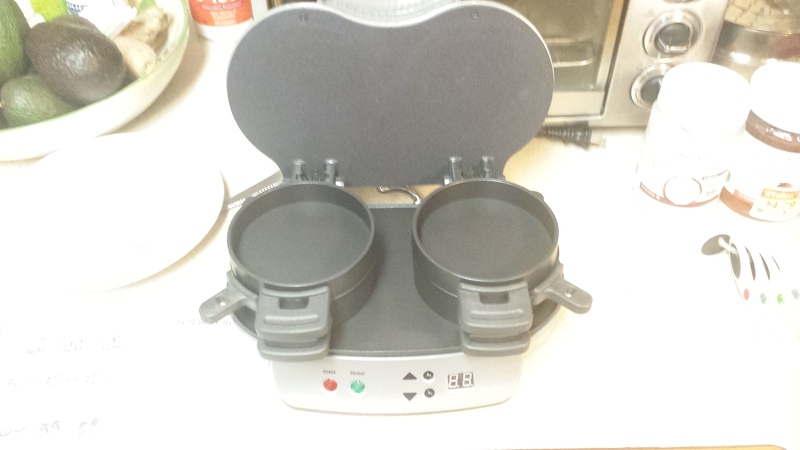 Pour the batter into the top half of your preheated sandwich maker, dividing evenly between the two compartments. Cook for 4 – 5 minutes, until the top is set. OPTIONAL: Only do this step if you are not going to use these to make a sandwich in your sandwich maker. To brown the bottom of your bun, slide out the divider on the sandwich maker so that each bun falls down to the bottom of the sandwich maker. Cook for 2 more minutes. I’m launching a 90 Day Keto Challenge in January 2016. Would you like to join me? It includes weekly webinars, meal plans and shopping list, a workbook, and private online support group. For more info, click here. I’ve been playing around with Nature’s Way’s new flavored liquid coconut oils and created this Caesar dressing from their garlic flavored one. Typically, Caesar dressing calls for up to 6 cloves of garlic, which is a lot of carbs. 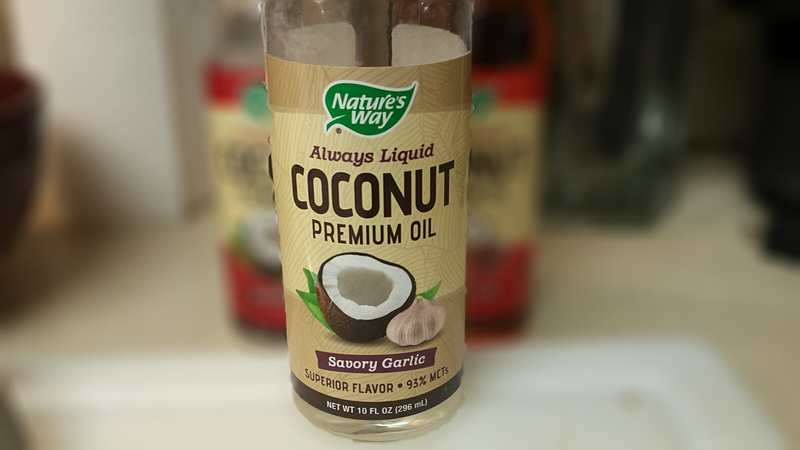 By using this garlic flavored oil, you can avoid all the carbs while still getting that super garlicky flavor. Don’t let the anchovy paste scare you. It is used as the salty, umami component, so it should not taste fishy, only delicious. 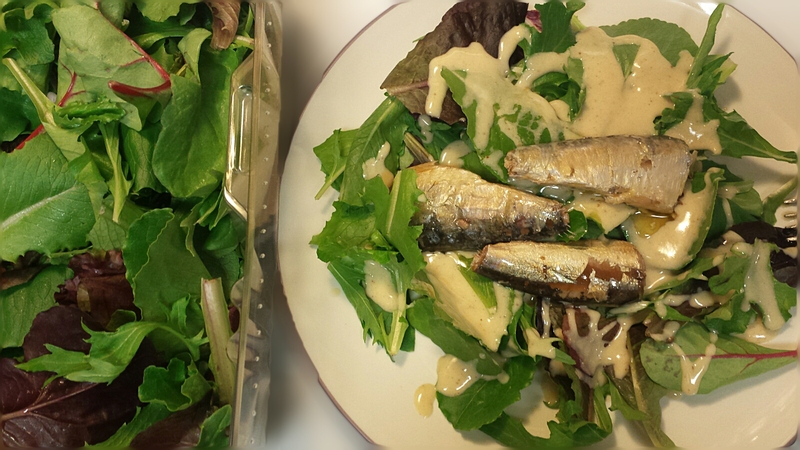 In a small bowl, whisk together the mustard, vinegar, mayonnaise and anchovy paste. While continuing to whisk, add the coconut oil in a slow, steady stream until completely incorporated. I’m launching my next 90 Day Keto Challenge very soon. Would you like to join me? It includes weekly webinars, meal plans and shopping list, a workbook, and private online support group. Everything you need to start (or restart) your keto diet. For more info, click here. 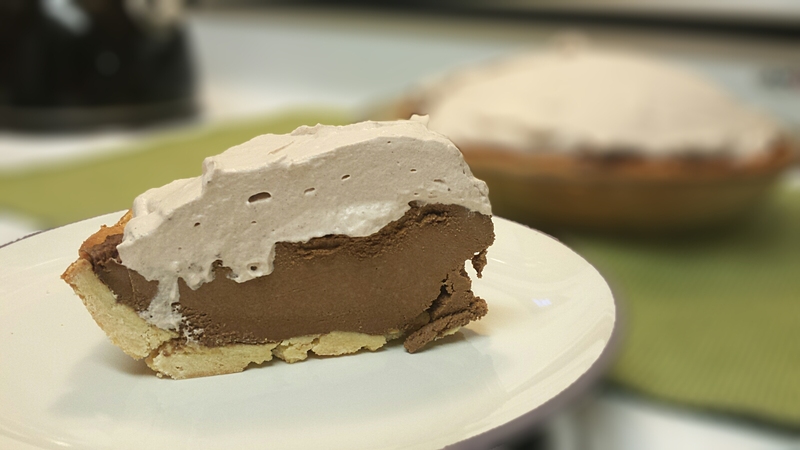 This chocolate pie is low carb, high fat, sugar free, gluten free, dairy free, and vegetarian, too. It packs a whopping 477 mg of potassium per slice and is a play on a raw vegan avocado chocolate pie, but to amp up the fat, I’ve added cocoa butter. This makes it really rich, plus as it cools, it has a very firm yet creamy texture. I made this pie originally for Thanksgiving 2015 while my son and I were doing a month of dairy free keto. It turned out so well that he asked me to recreate it for the holiday party at one of the restaurants he works at. Grease a 9 inch pie plate with coconut oil. In a food processor fitted with an S blade, combine the coconut oil, eggs, coconut and hazelnut flour. Pulse until dough comes together in a ball. Place dough into the pie plate. Using your fingers, press and spread out evenly in pie place. Bake for 15 – 20 minutes, or until lightly brown. Let cool. Clean out the food processor and begin preparing the chocolate pie filling. Remove skin and pits from avocados and discard. Put avocado, cocoa powder, salt, vanilla, and Swerve into the processor bowl. Turn processor on low and slowly pour melted cocoa butter in and mix until smooth and combined. Stop blade and scrape down sides if needed and blend further. 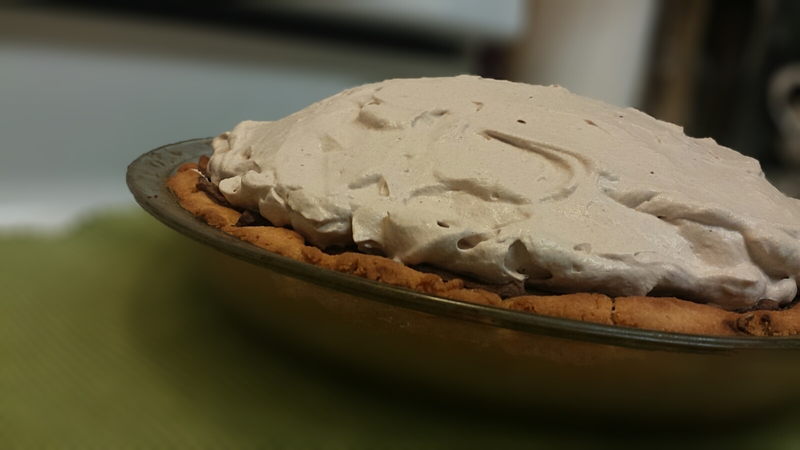 Pour chocolate pie filling into cooled pie crust and spread out evenly. Place pie in the refrigerator and cool completely, about 2 – 4 hours, before serving. Cooks Notes: You could top this pie with whipped heavy cream (as pictured), or in keeping with dairy free, make a coconut whipped topping, or simply eat it like it is. Another addition I suggest is 1 – 2 tablespoons of greens powder mixed into the pie filling. Chia seeds are odd little seeds that pack a wallop of soluble fiber and minerals (check out the RDA info below). The soluble fiber, when exposed to liquids, turns into a jelly-like substance that has impressive thickening ability. Additionally, this soluble fiber is great for stabilizing blood sugar. Many even report lower blood sugar numbers for the whole next day after they consume a tablespoon of chia seeds. Most of the carbs in chia seeds are fiber, which makes them a fun little ingredient to play with in keto and low carb recipes. 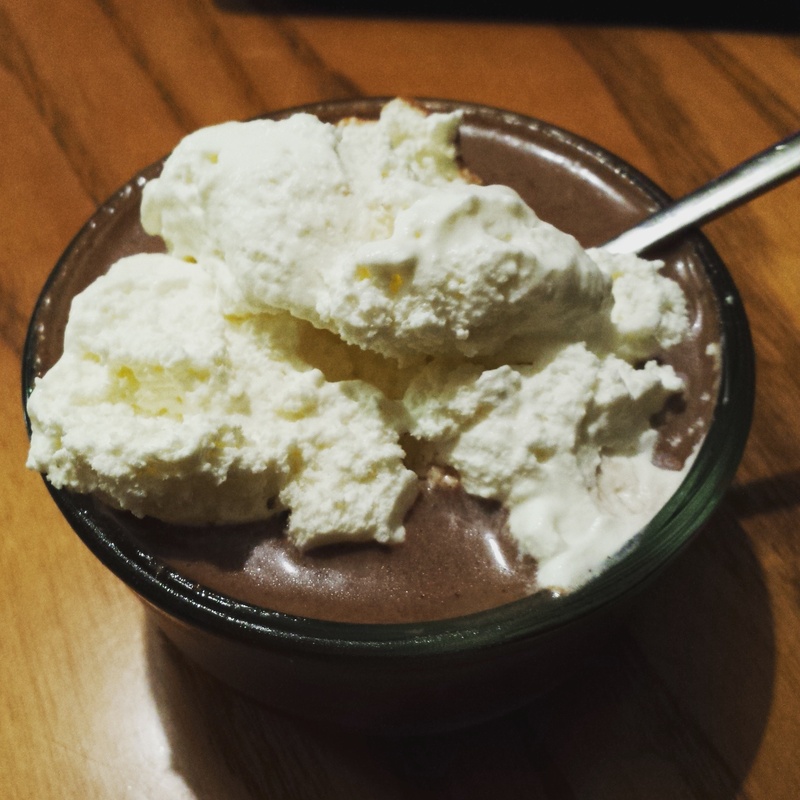 While this recipe is quite tasty, I recommend avoiding dessert recipes during your first month or more on keto. Initially, I find it easiest to reduce cravings by avoiding dessert type foods all together. After you have been on keto and your cravings seem mostly a thing of the past, then I would recommend trying a recipe like this, occasionally. If you experience increased cravings in the days following this recipe, I recommend going back to no desserts for a while longer. Place the almond milk, cocoa powder, Swerve, and sea salt into a blender and blend on high until smooth. Cover and refrigerate pudding overnight. Stir pudding well and divide among 4 serving dishes. In a medium bowl, beat the heavy cream on high with an electric blender until stiff peaks form, about 5 minutes. Top pudding with whipped cream. Ketogenic Nutrition Specialist via Phone, online, in-person. Small group and individual.